The Hollywood Note Foundation is to hold its annual star-studded Change The World Awards on May 31, and now Look To The Stars readers can purchase tickets for a reduced price. 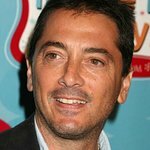 The award ceremony – hosted by Scott Baio and his wife Rene – will attract a large number of stars who will be recognized for their personal efforts to make the world a better place. 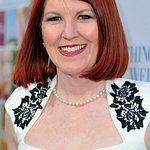 Recipients will include Band From TV – featuring Greg Grunberg, Bob Guiney, Bonnie Somerville, Hugh Laurie, James Denton, Jesse Spencer and Teri Hatcher – who will recieve the Humanitarian Award of Inspiration. Also being honored are Ed Begley Jr., who will be presented with the Humanitarian Lifetime Achievement Award, Bart Simpson’s voice Nancy Cartwright – who will receive the Change The World Public Service Award – and many others, including Aimee Teegarden, Leonardo DiCaprio, Jeremy Sumpter, and Michael Bernard Beckwith. Beneficiaries of the event will include Stand Up To Cancer, Happy House, Save The Ta-Tas, CASA (Court Appointed Special Advocates for Children), Coalition for Clean Air, the Ready or Not Foundation, and the Agape Foundation. The ceremony – which will be held at the Beverly Hills Hotel – will feature performances by Rachael Lampa, Daniel Nahmod and Kute Blackson. Individual tickets usually cost $500, but as a special offer, Look To The Stars can now offer you tickets for $350. To purchase the tickets, go to the Change The World website and enter the online registration code NOTE 0531 when you make your purchase.